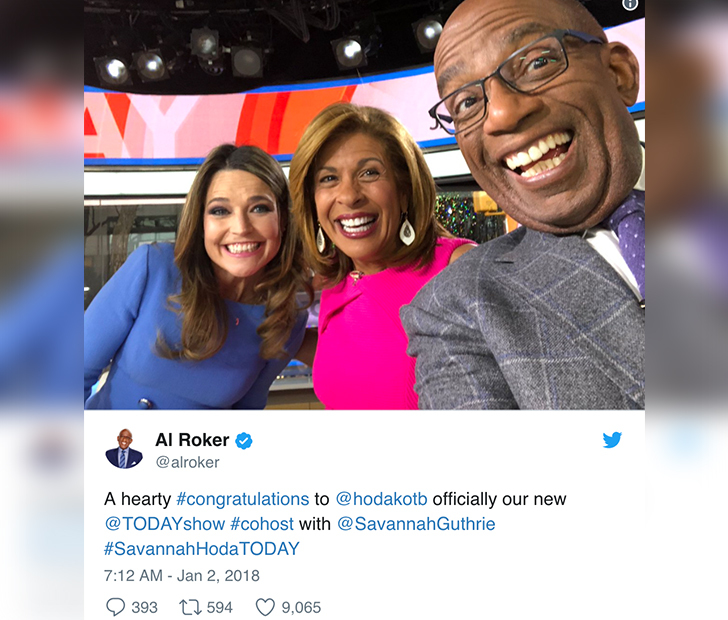 In a bold and defining move for NBC, it was recently announced that Hoda Kotb, who had been temporarily filling in for Matt Lauer after he was fired last November, will now be the permanent co-host for the 7 and 8 a.m. hours of the Today show. “This has to be the most popular decision NBC News has ever made,” Guthrie said of the announcement. Typically, co-hosts will be comprised of one man and one woman, but this refreshing step away from the traditional speaks volumes for NBC and the point they’re trying to make. Kotb has been with NBC since 1998 and has been co-hosting the 10 a.m. hour of Today with Kathie Lee Gifford since 2008, which she will continue to do.